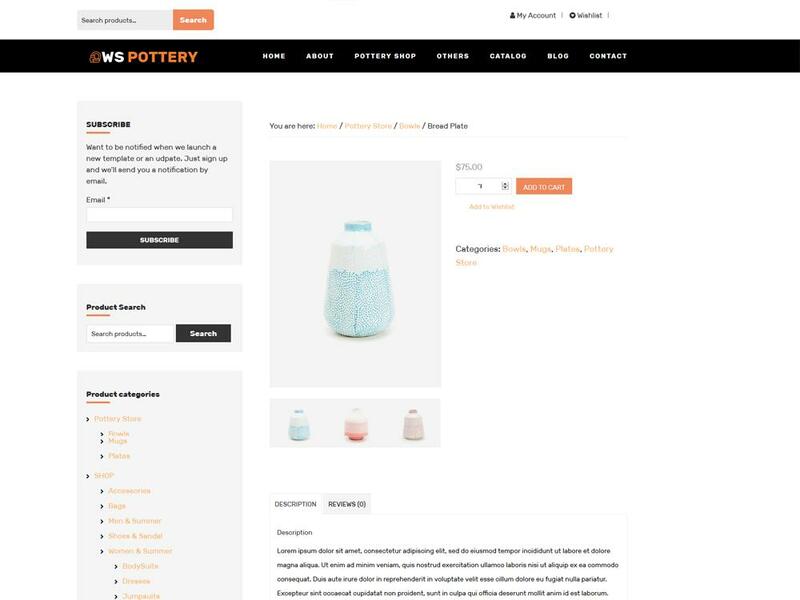 WS Pottery is free responsive Furniture WordPress theme which is specially designed for showcasing homemade outdoor/indoor furniture, especially for pottery products. 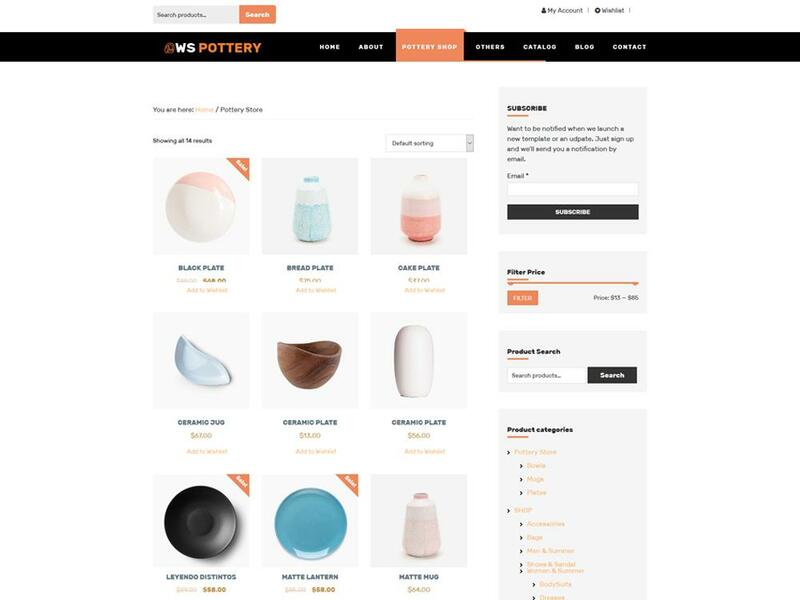 Generally, it is difficult to have a great idea for introducing furniture design or products of pottery, however, it becomes easier when you come with WS Pottery. 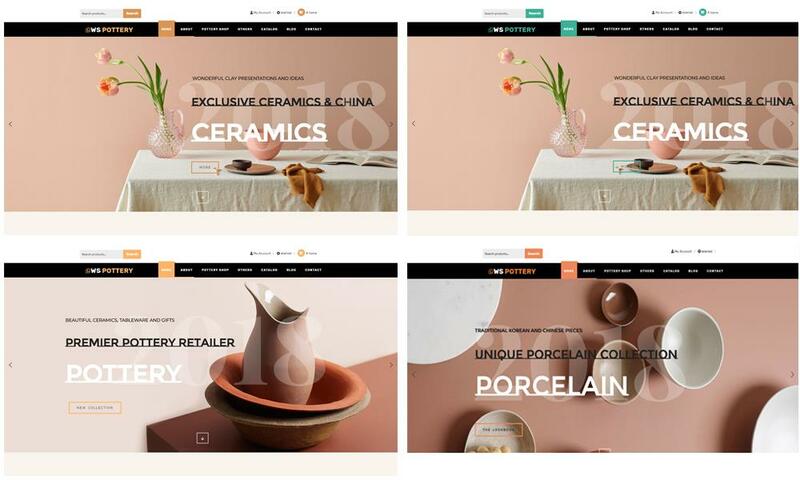 With this theme, we provide you with many ideas to present content of elegant color and high-quality images, in beautiful and eye-catching way, so your customers will be absorbed in the products at the first sight. 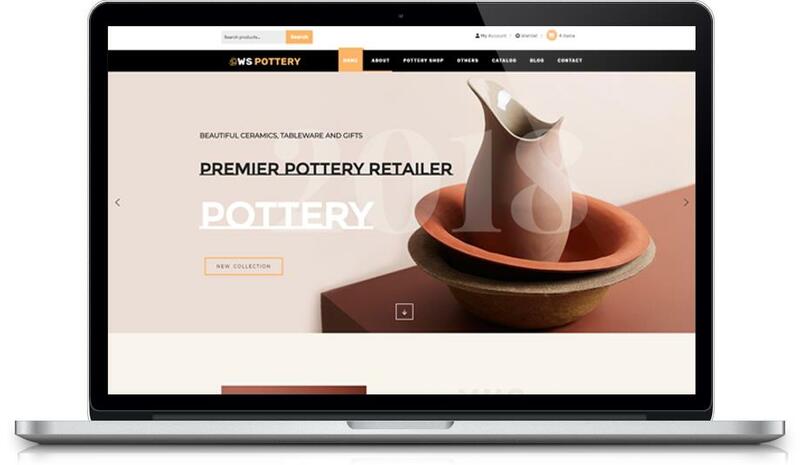 Besides, WS Pottery has been developed with the latest web technologies, which brings an entire and gorgeous responsive layout (able to work on any mobile device), it will not be a problem anymore if you want your site to be perfect even with mobile users. 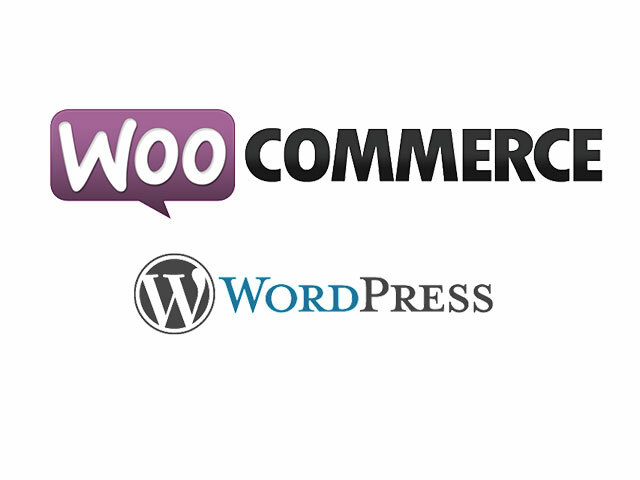 Especially, for serving selling activities on your site, we have integrated Woocommerce – a powerful ecommerce solution for WordPress to WS Pottery, therefore, everything now becomes easier for you to manage. 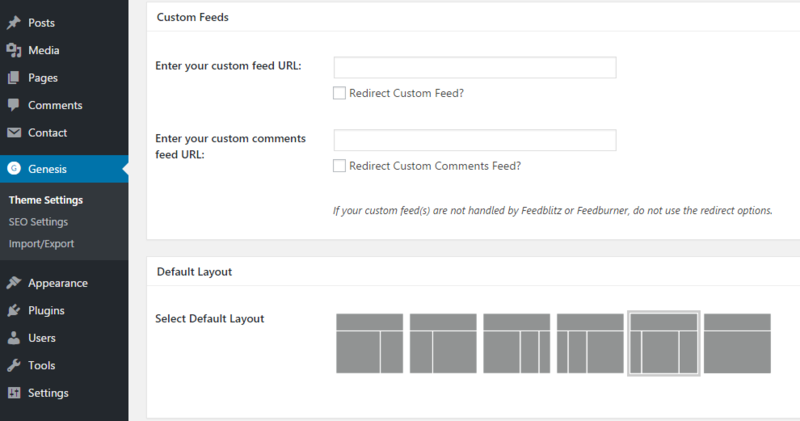 Plus, drag-drop layout content and so many other features are also ready to help you create the best appearance for your site without putting much effort and time. 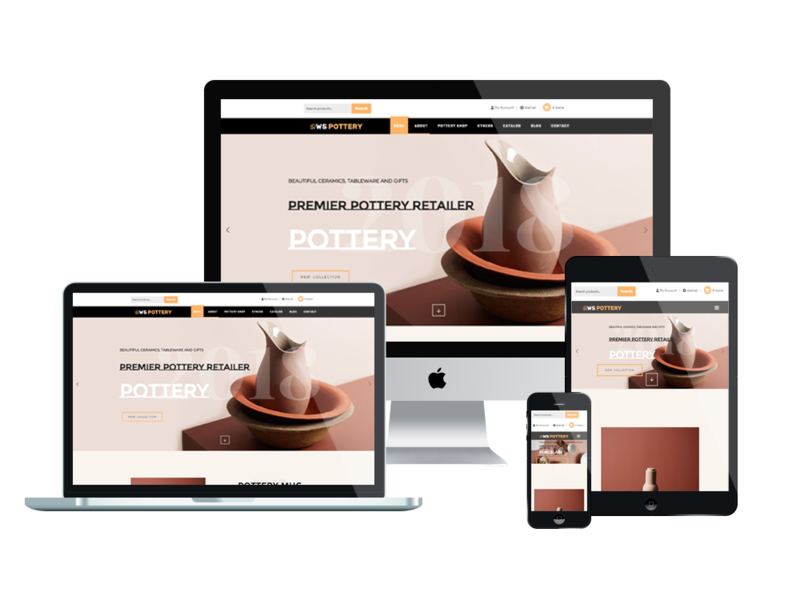 It would be a regret if you just ignore this amazing theme, let’s go for it now! 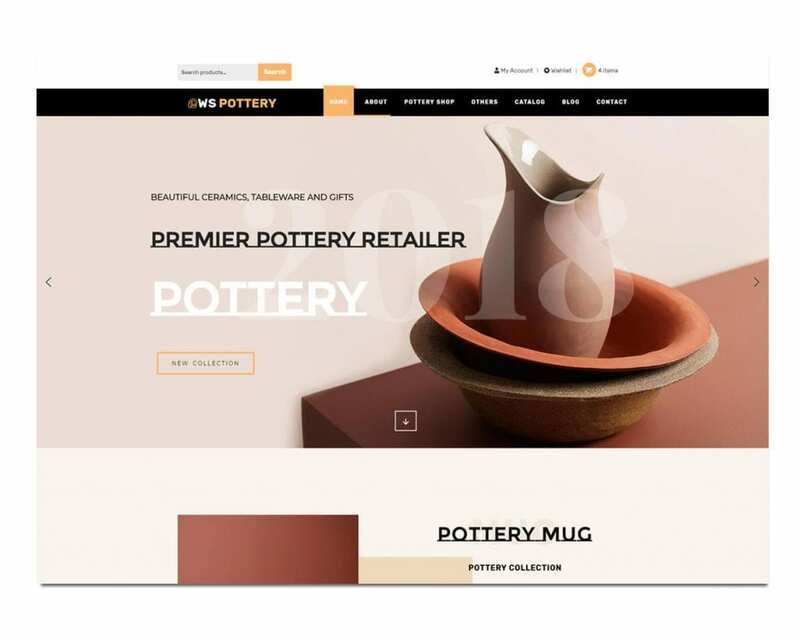 WS Pottery is completely decked out with a set of classy shop lists & singles, allowing you to gorgeously display your products & to set up the functional shopping cart in a flash.